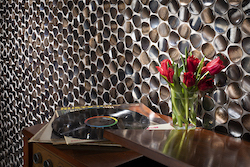 Lunada Bay Tile designs and produces handcrafted glass, ceramic, and concrete tiles with an emphasis on simplicity, texture and color. Inspired by the lifestyle and light of the Southern California coast, Lunada Bay Tile pursues a distinct approach toward experimentation and a design philosophy that blends traditional craftsmanship with modern influences. Our artisans use specialized techniques that create effects unlike any other source in the industry to develop products that resonate with and inspire, the way people want to live. The outcome is an attitude for living well, a regard for quiet elegance, and a fascination toward the nature of objects that capture our attention. 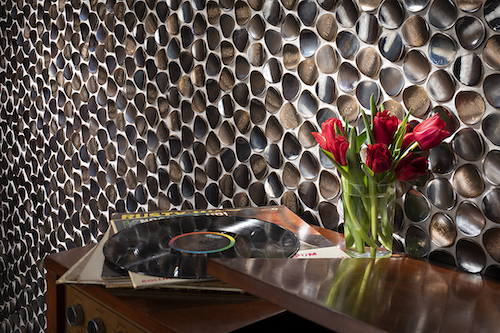 Visit us at LunadaBayTile.com to see our tile collections. The South Atlantic coast of Africa is considered some of the most stunning desert terrain in the world. A trip to this surreal destination offers vistas of rippling dunes, flat clay pans, and rocky outcrops, not to mention endless sky. This incredible landscape brings inspiration for the Namibia series, a three-dimensional ceramic tile collection which incorporates a special hand-sculpting technique to create tiles that are truly one-of-a-kind. Every tile is created by hand and no two tiles are the same. The undulating patterns come in four formats that engage a sense of adventure and rejuvenation — like the discovery of a hidden oasis.